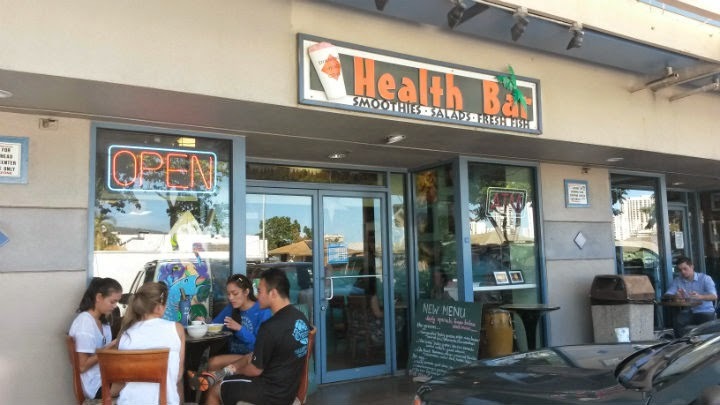 Diamond Head Cove Health Bar is located on Monsarrat Avenue in Honolulu, Hawaii. 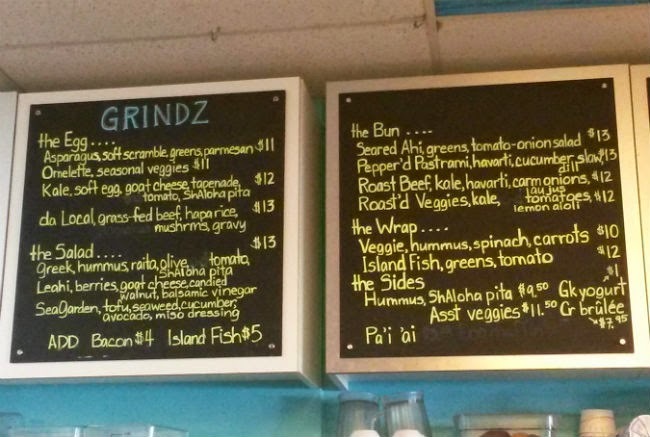 This place for healthy eats has been a popular place for smoothies, juices, acai bowls, breakfast, and sandwiches. Not too far from Kapiolani Community College. The place is small and will fill up fairly quickly. You can sit at the bar or get a table. 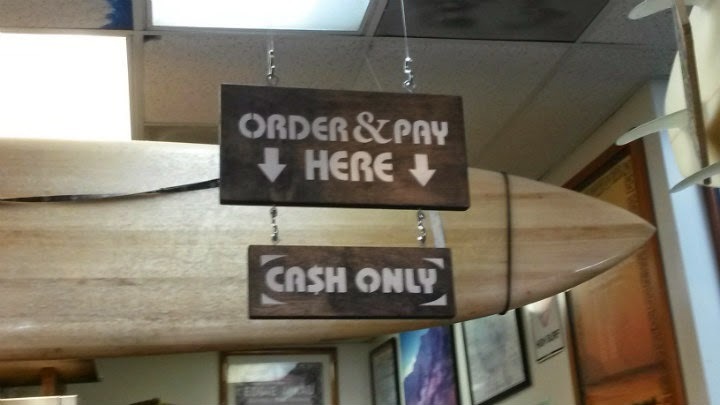 My friend recommended this place for the acai bowls. I'm sure I'll try some other menu items at a later date. 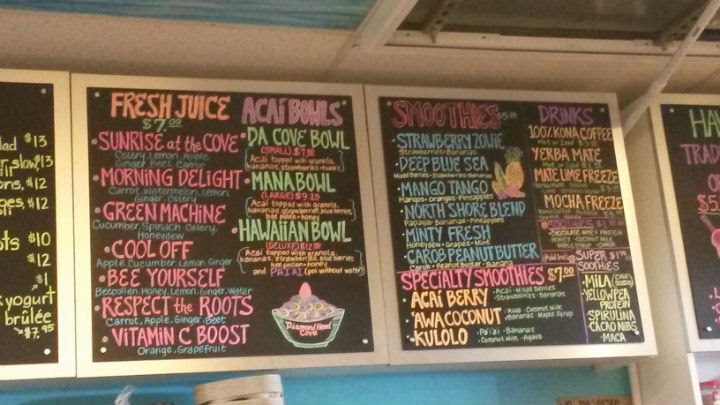 "Da Cove" Bowl ($7.50) is their smallest acai bowl. Basically the superfruit is blended into a smoothie and becomes the base of this bowl. Toppings are then added. 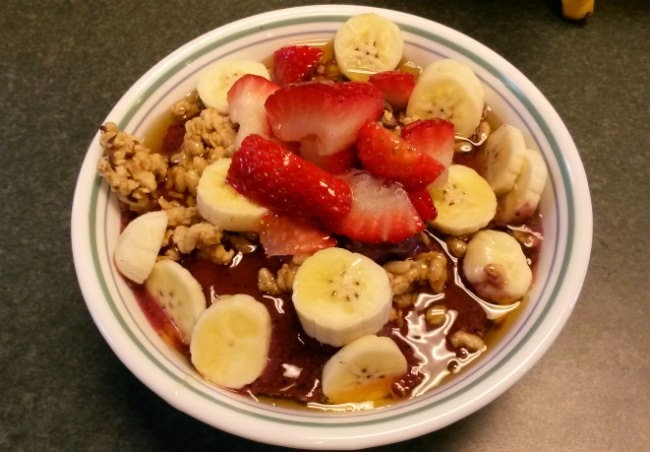 This one has granola, bananas, strawberries, and local honey. A sweet way to start your morning, but I especially liked that it wasn't too sweet. The granola adds a wonderful crunchy texture contrast. 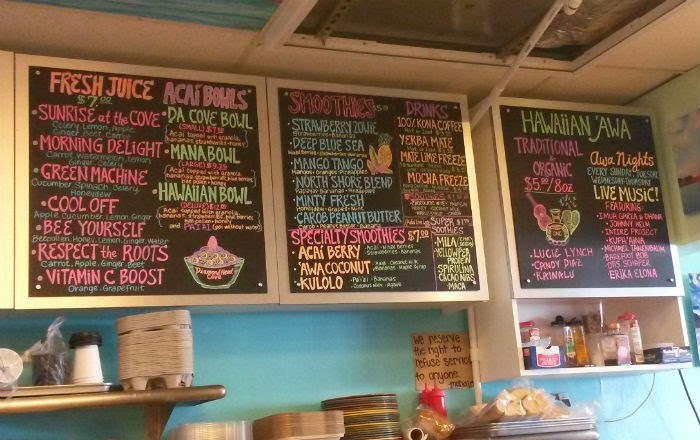 Larger eaters may wish to get the Mana Bowl ($9.50; a larger version of Da Cove -- with blueberries and bee pollen) or the Hawaiian Bowl ($12.50; an even larger version with all of the Mana Bowl ingredients with Pai'ai, basically poi without water). 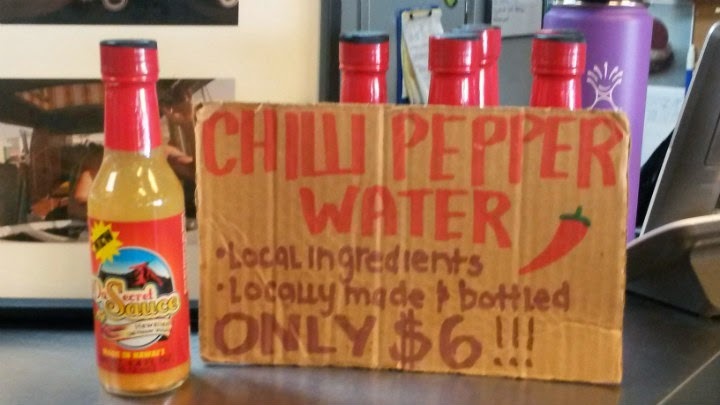 This place also has chili pepper water for sale. Yes, I've enjoyed drinking this. After all, panda science is a wonderful thing. Hopefully I don't win a Darwin Award anytime soon.